Every real estate professional needs a real estate graphics package to create their digital marketing material and campaigns. Click here to get your copy of the graphic design tool! The easiest solution is to hire a graphic designer but this solution is expensive and can be very frustrating. If you have the budget you absolutely should hire a graphic designer. The other solution is to build your own graphics. In the past this has not been a viable solution as graphic design programs like Photoshop were too complicated and technical for most agents. However in the past few years a number of very cool and easy to use tools have allowed agents to create their own graphics without any technical or graphic skills. One of my favorites is Canva which is almost free and has an excellent and easy to use dashboard. Another is an ecover creator called BoxShot. Now I have a new favorite. It’s called Youzign and it combines the best of Canva and BoxShot so you can create all graphics, including report covers, blog posts, postcards, flyers, Facebook Ads, video intros and just about any type of marketing material. 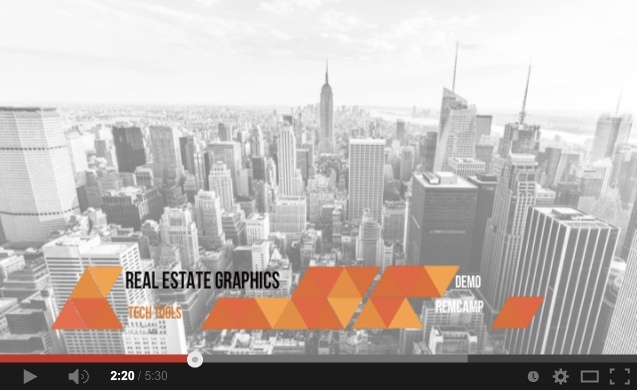 Take a look at the demo I shot on how to use YouZign to create your own graphics. Click here to get your copy of Youzign (plus a discount code).